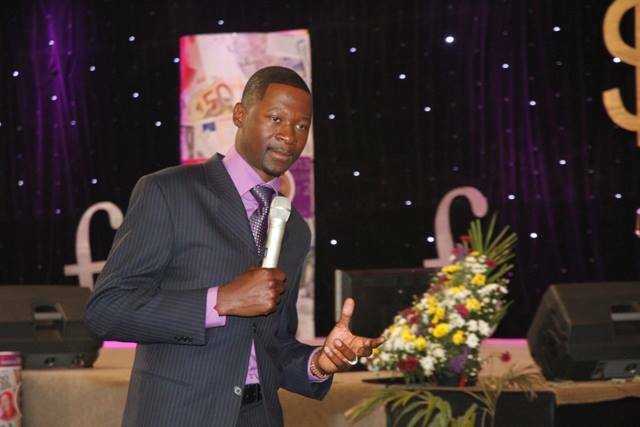 HARARE – United Family International Church (UFIC) leader Prophet Emmanuel Makandiwa has rejected his nomination as one of the most influential people in the country, describing the accolade as “bogus”. Prophet Makandiwa was put as the third most influential Zimbabwean on the 2015 list of 100 most influential Zimbabweans released by The Gorindemabwe Frontier. In a statement yesterday, Prophet Makandiwa’s spokesperson Pastor Prime Kufakunesu said that neither the cleric nor his church had accepted the nomination as it was not understood to them what the accolade was all about, and blamed an unnamed rival church for it. Pastor Kufa said the nomination remained “unacknowledged” by the church. “The basic rule for accepting any award would be to know the standing of the issuing organisation (of which we do not) and to know the basis of the award (of which “influence” does not suffice because even the devil has influence. We wish it to be known that that it remains an unacknowledged award from our point of view,” he said. Pastor Kufa also disassociated the church and Prophet Makandiwa from an advert flighted in The Daily News of 30 October, congratulating the man of cloth for the nomination. He described the advert as “the work of mischievous elements bent on tarnishing the image and person of Prophet Makandiwa, whilst stroking the egos of some publicity-crazy figures”. “Initial professional investigations show that the advert is the work of another church trying to glorify a bogus award. More details will be availed as the investigation gathers pace,” said Pastor Kufa. The list released last week includes such people as founder Prophetic Healing and Delieverance Ministries (PHD) Prophet Walter Magaya who tops the charts followed my musician, Jah Prayzah. The list also includes journalists from both the public and private media.